Ali & Ian are one of life's most totally chilled out couples, naturally happy in each other's company. 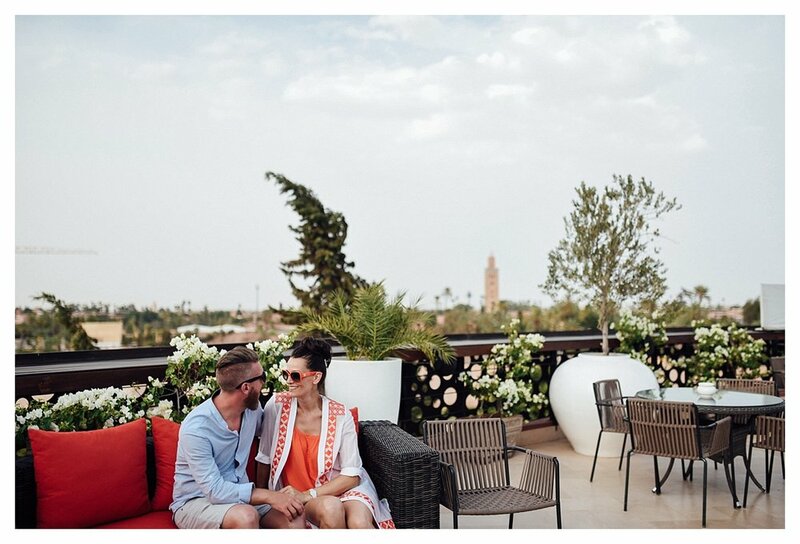 After falling in love with Marrakesh after several happy stays, they decided it would be the perfect destination for their wedding day. When they asked me to photograph it, of course, I jumped at the chance. 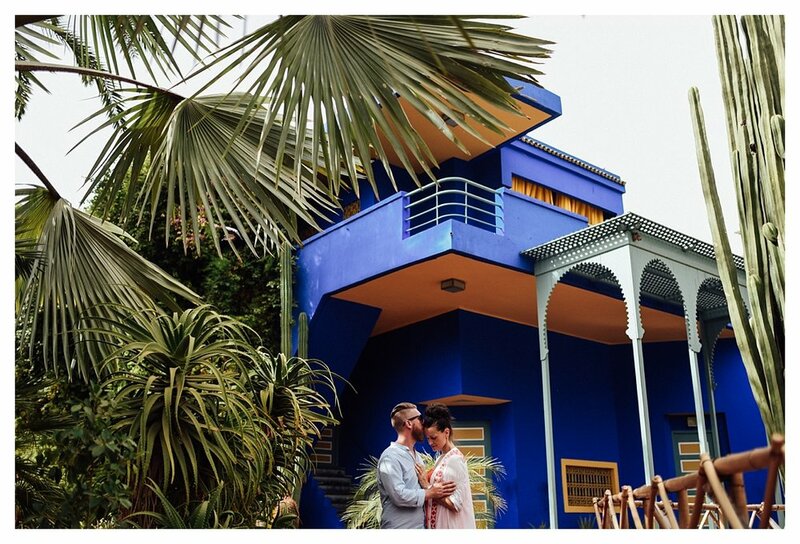 Ali & Ian opted for an intimate yet opulent affair for their wedding day and I can't wait to share some of those images with you soon... For now, I'm going to take you to the awe inspiring Jardin Majorelle in the heart of Marrakesh, the once home of Yves Saint Laurent. It's really not hard to understand why Saint Laurent was so inspired by Morocco itself and particuarly within the four walls of this amazing location. Now an archeological museum, it's unique cobalt blue walls and sea of giant cacti are truly captivating. When not running their successful jewellery design business, Bijoux Jewels, Ali & Ian are a couple with a taste for the finer things in life. What better place then to shoot their pre-wedding photos than the Majorelle Gardens? Ali looked naturally radiant in a beautiful silk kaftan by Temperley, perfect for the hot climate (the thermometer went over the 50 degree mark whilst we were there!). If you haven't experienced Marrakesh I whole heartedly recommend it. From shopping in the colourful souks to experiencing the flavoursome cuisine, you will leave feeling inspired and refreshed.